The recent re-election of President Barack Obama means not just the continuation, but also the expansion of key pieces of legislation passed in the President’s first term. 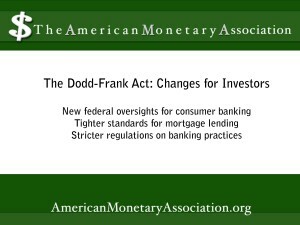 One such piece is the Dodd-Frank Wall Street Reform and Consumer Protection Act of 2010. 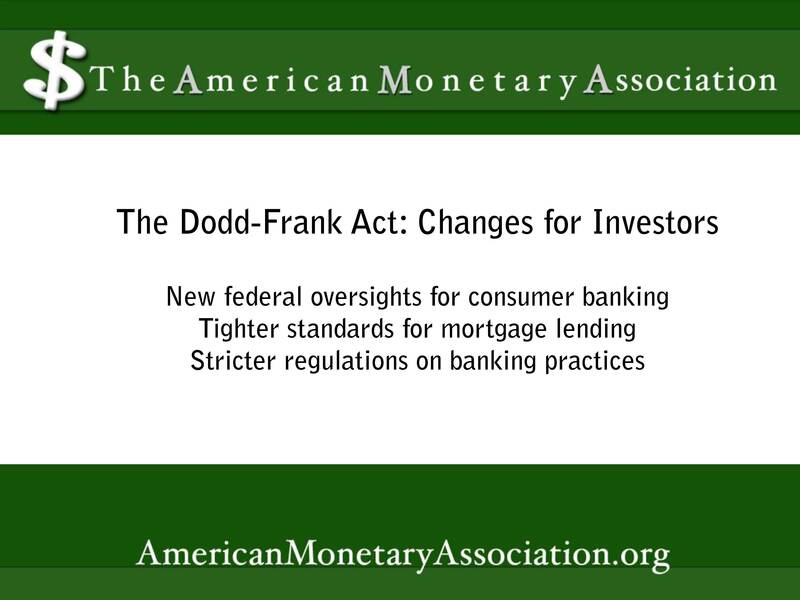 The Dodd-Frank Act, as it’s familiarly known, was partially implemented after its passing but whose provisions will now have an even farther reaching effect on the financial industry, affecting lenders and income property investors alike. The Dodd-Frank Act has been met with mixed reactions, depending on what side of the financial fence one happens to be on. Lenders and other financial institutions decry the tighter regulations that end bailouts and require more transparency and stringent regulations, while consumer advocates hail the Act as a major step forward in ensuring that mortgage holders and applicants as well as those using other financial products, are protected from abusive practices. In any case, though, the Act affects real estate entrepreneurs applying Jason Hartman’s strategies for income property investing in a variety of ways. One of these involves the creation of a new independent watchdog agency in the Federal Reserve, which is responsible for ensuring that consumers of financial products are protected from deceptive and abusive practices in transactions including mortgage lending, refinancing, and foreclosure proceedings. “robosigning” scandal at the height of the housing collapse of 2008-2011. A number of major lenders, including the megabanks Chase, Bank of America, and Wells Fargo, processed a number of foreclosure cases on fraudulent documentation, with falsified signatures from employees who never reviewed the cases at all. As a result, numerous foreclosure cases were held up with lenders and the courts, which will result in waves of foreclosed homes hitting the market over the next two years. Lax lending standards in the mortgage industry also contributed to the crash, as numerous “subprime” mortgage holders were unable to meet ballooning payments and floundered, losing homes to foreclosure or being forced into short sales which left them with no return on the property. These problem mortgages resulted in a flood of low-cost homes into the housing market, creating a boon for investors seeking to get started with investing in single-family homes as rental properties. all mortgage seekers, whether they’re looking for a primary home or an investment property. Although interest rates are nearing record lows, the Dodd-Frank Act may make it a little tougher to qualify for a mortgage at those low rates, or to refinance an existing one. For those investors following Jason Hartman’s strategies for income property investing, the housing landscape may be safer, but a little more challenging.